When it comes to the installation of any ceiling, wall or floor, providing pre-set support is integral to its viability. Concrete inserts are a vital part of concrete ceilings, walls and floors, and are cast into the concrete itself to deliver an effective and efficient source of support. As we understand that no two projects are the same, here at DP Building Systems, we stock a wide range of concrete inserts for your perusal. Calling upon a heavy duty design, our concrete inserts are developed and manufactured utilising the Unistrut standard to ensure piping, conduit, cable systems and other equipment have the support they need to operate at full capacity. The inserts can be installed in floors, walls or ceilings of varying sizes and specifications. These products can also be used in conjunction with Unistrut nuts, which can be inserted to accommodate fittings and hanger rods. Our concrete inserts are made from the highest quality steel. In addition to being pre-galvanised, the inserts are coated with zinc during hot dipping, a process that ensures the products you purchase stand the test of time, whether applied to indoor or outdoor structures. 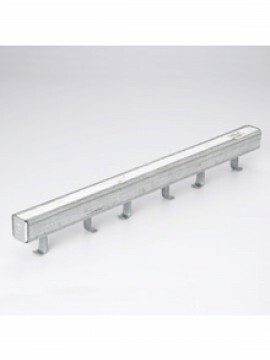 Browse our Unistrut concrete inserts by clicking on the products below or call us direct on 0121 706 7777 for further information.